The list bellow is a team or the core of the creative power that helps to inspire our staff. The experience and dedication of the talented directors who works with Attractions for over 15 years is more than a job for them, it became part of their life and the essence of who they are. 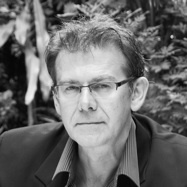 A proven design leader with over 30 years experience in the Asia-Pacific Region, Peter is a highly experienced, hands-on designer with a diverse background. He holds a Masters in Landscape Architecture and various degrees from Urban Design and Regional Design to years of experience in Architecture and Interiors. Peter acquired Attractions International from Belt Collins in 2002 after 15 years as Vice President of Belt Collins. As CEO of Attractions International, Peter brings a high degree of design service excellence to the areas of leisure and entertainment, landscape and environment. He is personally involved in all the company’s creative processes and has seen countless projects built, from Hawaii through Asia, Australia and the Middle East. Adriana Korkos has studied at Academy of Arts and Architecture in Prague and graduated with honors obtaining Master of Arts Degree at the University of Sydney in 1997 in Australia. After selling her Sydney-based design company, Adriana Korkos moved to Hong Kong. 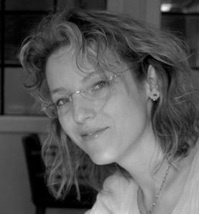 Adriana Korkos is one of the key creative directors of the company and also an experienced strategy development person for many of the more high profile projects. She is also an active sculptor and installation artist. Many of her influences and creations can be seen in various built projects around Asia and Europe. Her time is divided between managing creative aspects of Attractions International, while at the same time achieving recognition as an international artist. Renato Franceschelli re-joined the Attractions team in 2011 to lead the entertainment design division. 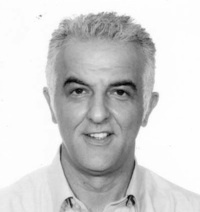 Renato has 30 years experience in mixed use developments and entertainment projects. His work has brought him across most continents from the USA, South America, Japan, Australia, Europe, the Middle East and now in Asia. His experience as Designer, Art Director, Creative Director and Show Producer for major studios and firms like Walt Disney Imagineering, Universal Studios, Landmark Entertainment Group, Spectrafx, Iwerks, Contour Entertainment, Sanderson Group, Paramount, Nickelodeon, Adlabs Entertainment and Blue Sky Entertainment have given him the ability to be at ease with managing large projects and a great creativity and understanding when working for theme projects. His vision and broad experience allow for a highly professional handling of projects from concept to realization. Renato has a long history with Attractions International, starting in Australia, and is now principal in charge of the mixed use and leisure and entertainment division of Attractions International.